A strained quad or groin injury often occurs from running or jumping too quickly or in a motion extending farther than your muscles can go. This results in small tears or overstretched muscles which can be painful, inflamed and swollen. 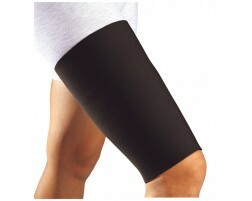 If you have injured, strained or torn your quad muscle or groin area, it is important to rest, apply cold therapy, compress with a brace or wrap, and elevate. 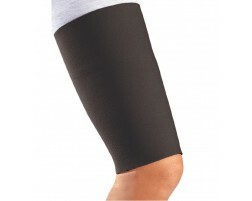 Wearing a thigh sleeve can help apply pressure to the area and keep the muscle warm as you begin to heal. Consult your doctor if your symptoms are not improving. 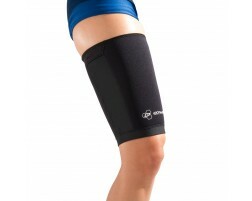 Take precautions to prevent an injured quad or groin by properly warming up, wearing a sleeve for support, stretching frequently, and not trying to run or jump too fast in sudden movements.